Even if hospital workers practice perfect hand hygiene, MRSA can still spread among babies in the NICU, according to new research led by a Drexel University researcher. 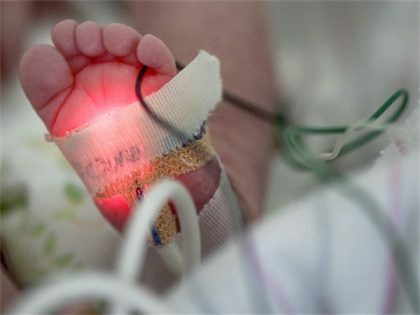 Neal D. Goldstein, PhD, assistant research professor in the Dornsife School of Public Health, and his team of researchers decided to look at how the complex patient care environment of a neonatal intensive care unit (NICU) may lead to MRSA transmission. Focusing on hand hygiene — a top indicator of whether infections might spread in hospitals — the researchers examined transmission from baby to baby, with the hospital workers that come into contact with newborns standing as the link. And as it turns out, even theoretically perfect compliance with hand hygiene won’t completely eliminate the chance for MRSA to spread: the averaged risk reduction was 86 percent. The study, which was published in Infection Control & Hospital Epidemiology, used Methicillin-resistant Staphylococcus aureus (MRSA), a difficult to treat pathogen that can be deadly for people with weak or underdeveloped immune systems, as its subject. In his simulation study, based out of Christiana Care’s NICU (in Newark, Delaware), Goldstein discovered that even if health workers had absolutely perfect hand hygiene, just under one in every 100 contacts between a baby and a hospital worker could still result in a MRSA transmission. During the average nine day stay, an infant is likely to have about 250 contacts with NICU workers that carry risk for MRSA transmission. While each contact is an opportunity for hygiene compliance, it is also potential for hygienic practices to break down. Although it seemed that MRSA could not be completely wiped out through perfect hand hygiene, the study did show that the better hand hygiene was, the more it cut down on the spread of MRSA. The effect never quite leveled off, but continued to get better as hygiene levels improved. When the team divided levels of hand hygiene into quartiles, the lowest level of cleanliness was associated with an averaged 29 percent decrease in MRSA prevalence when compared to no hand washing. And when the team looked at the two quartiles considered within the average range for hand hygiene of hospital workers, they found it correlated with a decrease in MRSA ranging between 51 and 67 percent. However, having multiple lines of defense remains important. So beyond hospitals practicing good hand hygiene and antimicrobial management, Goldstein suggests that efforts by people beyond hospital workers, including parents, visitors and the patients themselves (the non-infant patients, of course) can make a difference.